Small business is the backbone of economy and comprises more than 30.2 million individual organizations which account for 99.9% of all business registered in the US. Service industry such as accounting, law firms and even non-for-profits have continued pressure to deliver high quality services while controlling the cost to deliver them. Many organizations are leveraging technology to address these challenges. Cash flow and the value of money. You have heard the old saying “Time is money.” There is no place that this is more evident that in small business. You can’t afford business interruptions, downtime and applications that only work part of the time. You need continuous access to your Line of Business (LoB) applications to serve your clients. Everyday tools such as email, website, internet access is critical in your success. Business Cyber Poverty – Securing you clients data. As a business owner it is your duty to protect your client’s information. You are trusted with their personal financials, credit cards, medical and social information. Many small businesses cannot afford the tools required to keep everything secure and the cyber-villains at bay. You are in a catch-22 situation; Needing all the technology but not being able to afford it. Your organization is in a state called Cyber Poverty. IT, Managed Services and cost reduction by scaling services. Keeping pace with the advances in technology and automation can allow small businesses to get the benefits of large Enterprise level technology in an affordable price. Elite IT companies such as SNC2 can spread the cost of tools, systems, software and technicians among many organizations. A model where every company pays only for the small piece that they need scales well and provide all the protection while minimizing the cost. Advances in automation also schedules routine tasks such as backups, virus protection and patches to non-business hours additionally reducing downtime. The small business owner spends less time and money managing their IT systems and more time focusing on their own business. Security, loss, breach and fines. If your company accepts credit cards, then it is subject to PCI DSS compliance. Not meeting the requirement can led to fines of $10’s of thousands per month. If your company also stores Patient Health Information (PHI), then the HIPAA regulations are ever present, and the fines associated with breach of information can be in the millions. 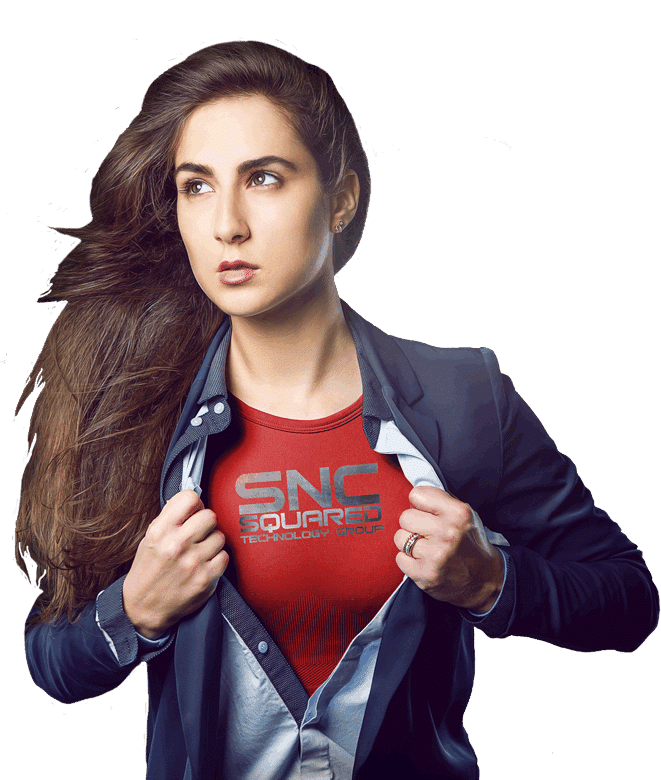 The SNC2 solution is to provide all the tools required to protect you and you client’s information. We take a layered approach by providing stop gap measures at every step. Our Managed Service offerings include all the software, licensing, hardware required to protect your business for one fixed fee. You no longer need to worry about antivirus software or firewalls or even backups. We provide and manage the hardware, software and labor to take care of it on your behalf. System instability will cost you money in downtime, lost staff productivity, and ultimately client dissatisfaction. No small business wants to pay for salaries of staff that can’t work or take care of their client’s needs. Furthermore, a cyber-security breach of your client’s data can risk the continued operations of the business. SNC2 provides a full set of IT services that cover everything from the end workstations, through the network, servers, into the cloud. Ongoing education of staff in the most current technologies allows our clients to benefit from state-of-the-art advances while minimizing their in-house spend on IT staff. Our clients can take advantage of outsourcing the mundane and labor-intensive maintenance of systems so that their staff can focus on important projects. Our staff can step in to assist with new projects and installs which your staff may have little experience. We are experts in new server technologies, cloud migrations, security and data protection. SNC2 can provide the exact IT solutions that your company needs.